The Biggest Baby Shower is Here!!! Are you a mother or an expectant mother? Attend and get FREE Professional New born, Sitters and Maternity pictures by M12, Red 19 and Domino Photography. 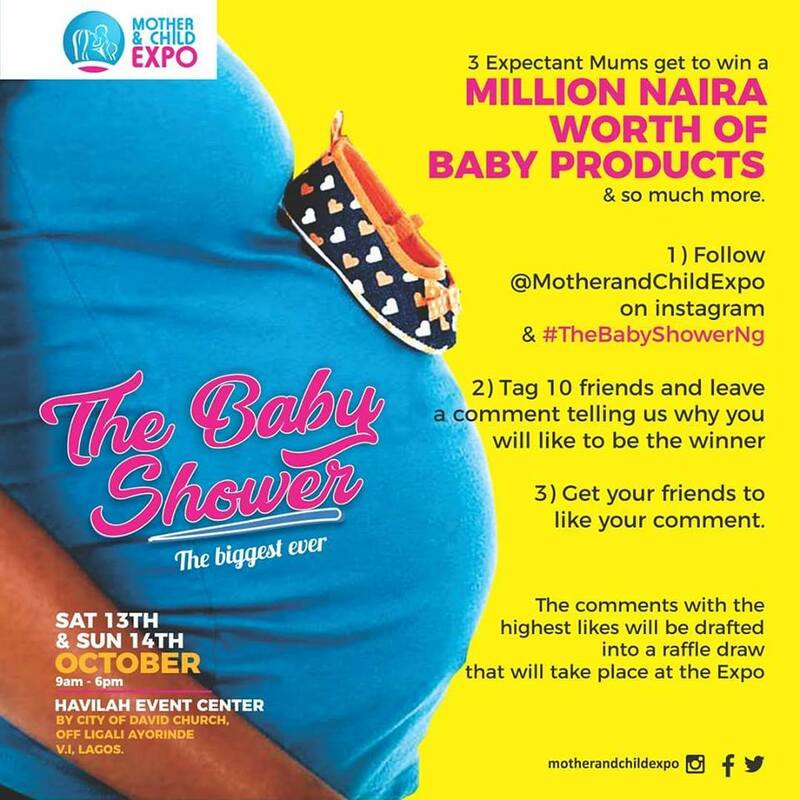 Three Expectant Mums also get to win a Million Naira worth of baby products at and so much more? 3) Get your friends to like your comment. Venue: Havilah Event Centre, City of David Road, Oniru, VI, Lagos.